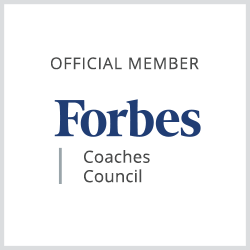 Coach – Welcome to Your Resume Support Blog…..
Debra Ann Matthews of Let Me Write It for You: Job-Winning Resume and Business Services, a resume and business writing and training company based in Clarksville, Tennessee, has been accepted into the Forbes Coaches Council, an invitation-only community for leading business and career coaches. Debra Ann Matthews joins other Forbes Coaches Council members, who are hand-selected, to become part of a curated network of successful peers and get access to a variety of exclusive benefits and resources, including the opportunity to submit thought leadership articles and short tips on industry-related topics for publishing on Forbes.com. Debra Ann who has an exciting, passionate delivery when helping her clients from military veterans, spouses, youth as well as mid-level professionals and small business owners is beyond thrilled to join a community of like-minded professionals who share their expert opinions to help job seekers and career changers activate the job market. This wonderful community of colleagues will continue to help organizations, schools, and businesses train and motivate all persons needing to interview, relocate for employment options and just master the world of work.